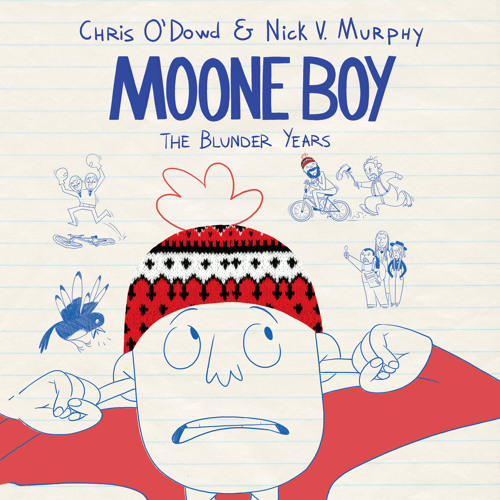 Listen to an excerpt of Moone Boy, written and read by Chris O'Dowd and Nick V. Murphy. Martin Moone is eleven and completely fed up with being the only boy in a family of girls. He's desperate for a decent wingman to help him navigate his idiotic life. So when best mate Padraic suggests Martin get an imaginary friend-or "IF" for short-he decides to give it a go. His first attempt is Loopy Lou, a hyperactive goofball who loves writing rubbish rap songs. But Martin soon gets fed up with Lou's loopiness and decides to trade in his IF for someone a little less wacky. Enter Sean "Caution" Murphy, an imaginary office clerk in a bad suit with a passion for laziness and a head full of dodgy jokes. Sean is full of tips and tricks to guide Martin through the perils of the playground, from dealing with his sisters' pranks to besting the bullying Bonner boys. But getting rid of Lou is not that easy, and having TWO imaginary friends is a recipe for trouble!